New York Times bestselling author William Kent Krueger showcases his talent “creating strong characters, building drama and conflict, braiding in Indian legend and spirituality, and spinning a good yarn” (Minneapolis Star Tribune) in this a vivid and pulse-pounding thriller that follows Cork O’Connor’s search for a missing man amid the fraught tensions at the border between Arizona and Mexico. On the Fourth of July, just as fireworks are about to go off in Aurora, Minnesota, Cork O’Connor and his new bride Rainy Bisonette receive a desperate phone call from Rainy’s son, Peter. The connection is terrible but before the line goes dead, they hear Peter confess to the murder of someone named Rodriquez. The following morning, Cork and Rainy fly to southern Arizona, where Peter has been working as a counselor in a well-known drug rehab center. When they arrive, they learn that Peter was fired six months earlier and hasn’t been heard from since. 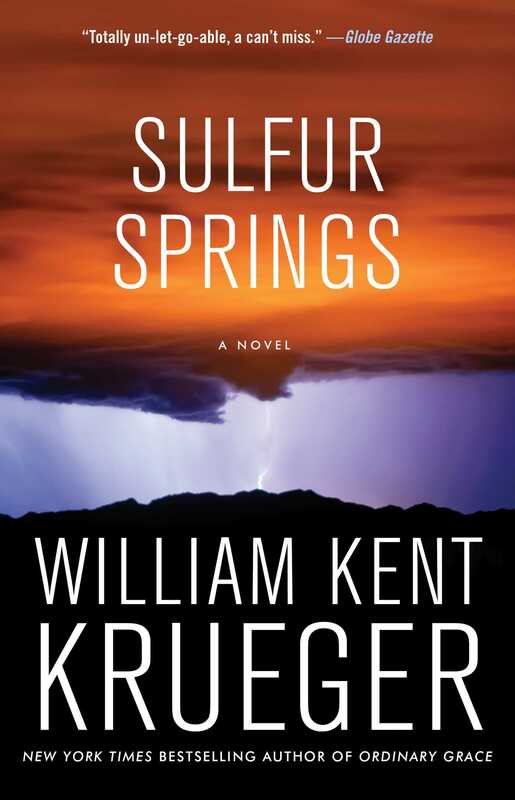 So they head to the little desert town of Sulfur Springs where Peter has been receiving his mail. But no one in Sulfur Springs seems to know him. They do, however, seem to recognize the name Rodriguez. Apparently, the Rodriguez family is one of the cartels controlling everything illegal that crosses the border from Mexico. As they gather scraps of information about Peter, Cork and Rainy are warned time and again that there is a war going on along the border. “Trust no one in Coronado County,” is the most common piece of advice they receive, and Cork doesn’t have to be told twice. To him, Arizona is alien country. The relentless heat, the absence of water and big trees and shade all feel nightmarish to him, as does his growing sense that Rainy might know more about what’s going on than she’s willing to admit in this fresh, exhilarating, and white-knuckle mystery starring one of the greatest heroes of fiction. In the balance of who we are and what we do, the weight of history is immeasurable. When I was thirteen years old, my father, who was sheriff of Tamarack County, Minnesota, was killed in the line of duty. Five years later, at the height of the Vietnam War, I graduated from high school. In the first draft lottery since 1942, the number I drew was well above 300, high enough to ensure that I would never be called up. But I saw my friends entering military service, by choice or not, and although I had my doubts about that conflict, its legitimacy and its ultimate goal, I felt I should do my part. My widowed mother begged her only child not to go. We argued, sometimes bitterly. In the end, I agreed to a compromise. I would not go to war; instead, I would go into law enforcement, as my father had. In that way, wearing a little metal shield, I would fight the battles I believed were important. I completed an associate’s degree in criminal justice at the community college in my hometown of Aurora, Minnesota, then applied for and was accepted to the Chicago Police Training Academy. Why Chicago? It was where my father had been born and had trained and had been a cop before marrying my mother and moving to Tamarack County. I served eight years with CPD, working mostly the South Side, before I met and married Nancy Jo McKenzie, a smart woman attending the University of Chicago Law School. When our first child was born, I brought my family back to Aurora, deep in the beautiful North Country of Minnesota, and took a job as a Tamarack County deputy. In a few years, I was elected sheriff and wore the badge my father had worn. I lost my wife in the same way I’d lost my father, to mindless violence. I used to blame myself for these tragedies, though they were events I could never have foreseen and could not have prevented. I’ve let go of this blame and others, not an easy thing, but I’ve had help, mostly from my second wife, a lovely woman named Rainy. She’s Native, full-blood Lac Courte Oreilles Anishinaabe, member of the Grand Medicine Society, a Mide, a healer. When we married, she kept her family name, Bisonette, because it has been hers for nearly half a century and is part of the way in which she thinks of herself. Again, the weight of history. I haven’t worn a badge or uniform in the last ten years, yet I still often find myself in the middle of situations in which my law enforcement experience and training have proven invaluable. The story I’m about to tell you is one of these. Like many of the stories from my history, stories that have so shaped my life, it begins with murder. Rainy wears her hair long, often in a single braid that sways across the middle of her back as she walks. Her skin is light tan, but deepens in the summer. Her eyes are dark jewels, like brown topaz, and even in dim light they sparkle. She smiles often, and her laugh is exactly the sound my heart needs to hear. The cell phone in her purse, which lay atop the dresser, began to ring. She tried to get up but I held her to me. “Cork.” Her tone made it clear our time together, at least for the moment, was at an end. I let her go, but the cell phone had stopped ringing by then. Rainy got up, pulled the phone from her purse, and checked the display. Peter was living in Arizona, where he’d completed a drug rehabilitation program that had worked wonders for him. He’d become a substance abuse counselor himself and was now employed in the rehab center where he’d gotten clean, located in a town called Cadiz, south of Tucson. I’d met him only once, the previous April, when he’d come to Aurora for our wedding. I liked him, liked him a lot. A young man who’d been through the wringer, he’d come out straightened and determined, and I thought he had a great deal to offer those in need of his kind of help. Rainy listened to the message, and I saw her face darken. She lowered the phone and stared at it, as if it were a snake in her hand, a snake about to strike. “He didn’t say.” She was punching in his number, her hands trembling. “He can’t afford a lawyer.” She put the phone to her ear. She was right. It was scratchy and broken, but the name Rodriguez and the words “killed him” and “they’ll be looking for me” were all discernible. I called him back. On his end, the phone rang and rang and then went to voice mail. She ended the call and stood staring at me, stunned. For a moment, there was not a sound in our bedroom, in our house, in our whole world. Then the first explosion of the Fourth of July fireworks in Grant Park made us both flinch. “You’ll go with me?” she said. Some women might have been crying. All I saw in Rainy was an iron resolve. I took her in my arms and we stood together, naked, and I felt once again the weight of history settle on my shoulders. "Totally un-let-go-able, a can't miss for fans and a new obsession for new readers." "A blistering Wild West mystery." "Remarkable...masterful...book from an author who never disappoints." 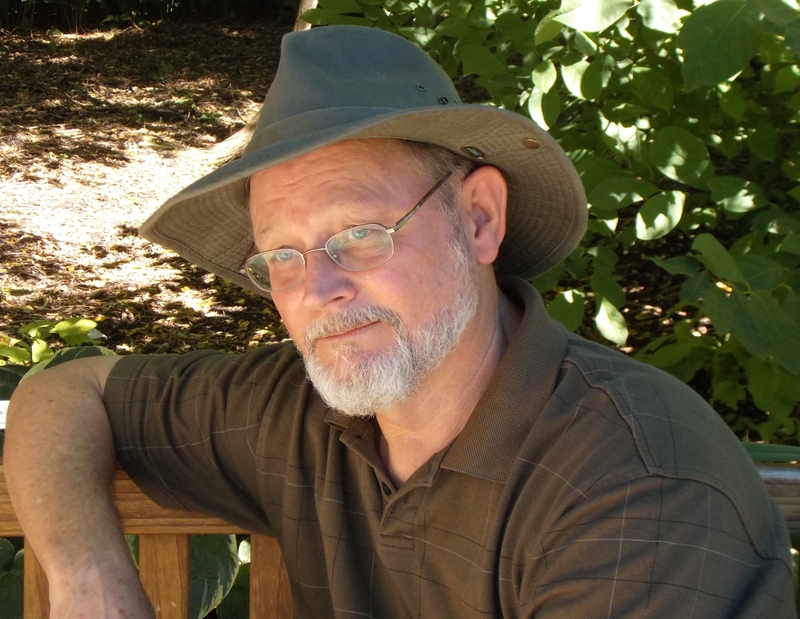 "Explores the tension between belief and truth, between protecting a sacred place and embracing technological progress, between having empathy for a cause and taking action to defend it...Krueger has crafted a gripping thriller...steeped in the mythology of American Indian tribes of Minnesota...[a] deeply spiritual novel. Read it with your heart."